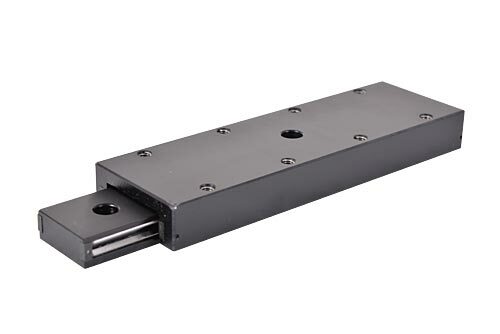 Linear motion Slides from Holmarc are ready to fit, cost effective, factory preloaded, low friction, light weight slides that are ready for installation right out of the box. Balls or crossed rollers act as the interface between base and carriage by perfectly rolling on four surfaces arranged at 90 degree, called guide ways. In the case of slides from HOLMARC, hardened and ground rods act as guide ways. Wear and tear is negligible even after long use as there is a perfect rolling contact between rolling elements and guide ways. Friction is very less and in most cases, coefficient of friction is less than 0.002. The slides can support heavy loads without compromising performance accuracies. Factory pre-loading of the slides during assembly practically eliminates play and wobble. 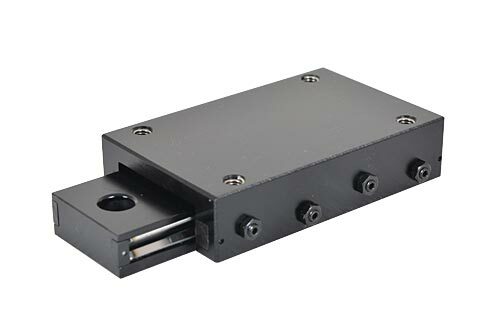 Our linear motion slides proove to be the best solution for the ever-demanding performance requirements of modern machine tool shops. They are specially made to operate dry, offering self-lubrication with high performance.These features make our system best suited for OEM applications. 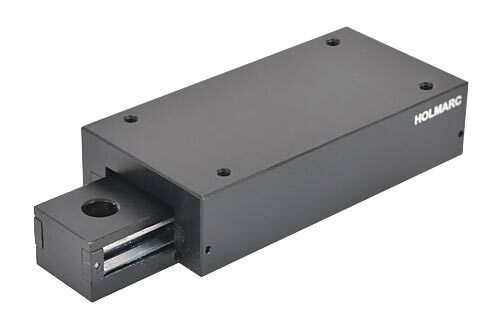 Miniature Slides are designed as complete and compact assemblies for linear motion applications. Holmarc manufactures miniature slides in four series depending on their width and thickness. Ball slides, as the name suggests, use balls as rolling elements. Each ball will have four point contact with guide way during its entire travel. In roller slides, rollers which are placed alternately crisscrossed to each other are used as rolling elements.